The winds of healthcare tech are changing — at least when it comes to trends. It’s clear from the recent HIMSS Annual Conference & Exhibition that mHealth is becoming the norm, while machine learning and AI is creeping its way in as a dominant trend in the industry. It’s not just at conferences though; pay attention to news and press releases, and you’ll see talk of machine learning and how it’s being used to do everything from predicting illness to using healthcare analytics to reduce hospital readmissions. One of the most recent developments comes from a company that’s set out to make artificial intelligence “routine, pervasive and actionable” for the entire spectrum of healthcare organizations. In mid-February, healthcare data and analytics company Health Catalyst announced its plans to embed the benefits of next-generation healthcare analytics throughout the healthcare experience. It intends to do this by way of healthcare.ai, an open-source repository of tools and expertise that will help facilitate the deployment of machine learning in any interested healthcare environment. On a practical level, this means that the entire Health Catalyst product line will be embedded with machine learning as a core capability. This initiative is known as catalyst.ai, and organizations using Health Catalyst products will be able to access that technology to answer challenges such as identifying patients who are at risk for infection, finding high-risk financial cases and proactively catching canceled appointments. With all the potential that the technology holds for healthcare, Health Catalyst leadership highlights the classic healthcare lag as a challenge, stating that healthcare is several years behind other industries. This is particularly an issue of cost, but also largely due to the inherent complexity of healthcare data. Health Catalyst’s work is definitely not the only initiative to implement AI and advanced algorithms into healthcare. Industry experts are chronicling the recently announced success of Indiana University-Purdue University Indianapolis researchers battling leukemia. The team developed an algorithm that’s been found to be able to correctly predict the relapse rates for acute myelogenous leukemia (AML) with 90 percent accuracy. It’s also able to predict remission rates correctly 100 percent of the time. The algorithm uses bone marrow and medical history data from patients, along with the addition of information from healthy individuals to make its predictions — something that was previously performed by human experts. Computers, though, are frequently better at deriving knowledge from complex data than humans. Similar healthcare analytics technology is being used for predictive analytics and diagnostics in multiple disease categories including mental healthcare, heart disease, vision care, sepsis and trauma care. Another healthcare challenge that machine learning is being used to take on is that of unstructured data. 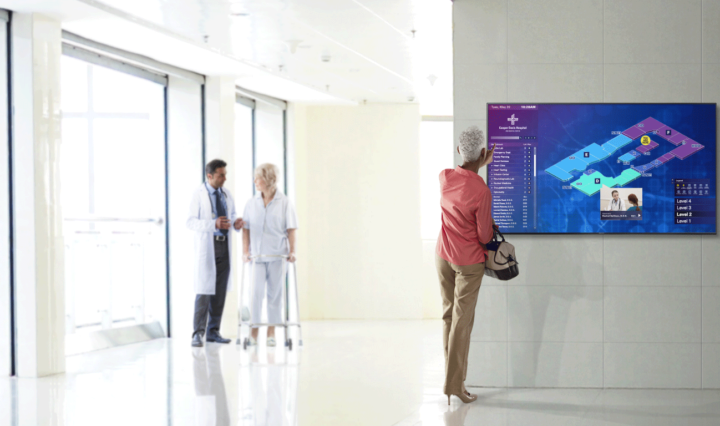 IBM’s Watson Health division is turning its attention to value-based care to deliver actionable insights and clinical decision support to providers. This move comes on the heels of the company’s announcement of a significant expansion of its imaging analytics collaborative. IBM has recently debuted its Imaging Clinical Review offering, a tool that currently helps providers identify aortic stenosis (AS), but in the future will be expanded to address conditions including deep vein thrombosis, cardiomyopathy and myocardial infarction. Mobile will remain the key platform for healthcare workflows, now underpinned by AI. UCLA researchers have developed a tool that lies at the intersection of mHealth and advanced analytics that can detect cancer biomarkers, proteins, viruses and other microscopic bodily objects that have proven challenging to identify in the past. The new mobile solution uses machine learning to train its own algorithms and process biometric data to better understand biological trends and biomarkers. This advancement means that diseases (such as early-stage cancer) and viruses could be caught earlier, at a stage where traditional methods would have failed. In that vein, to develop an understanding of healthcare technology as it evolves, it will be crucial for all stakeholders to step away from siloed thinking around healthcare innovation. For example, healthcare analytics holds amazing potential in the revenue cycle space, where the impact of financial interactions on the entire patient experience is just beginning to be understood. Since that space provides a relatively less complex environment for the application of AI, expect to see especially speedy innovations there and in other non-clinical areas of the industry.